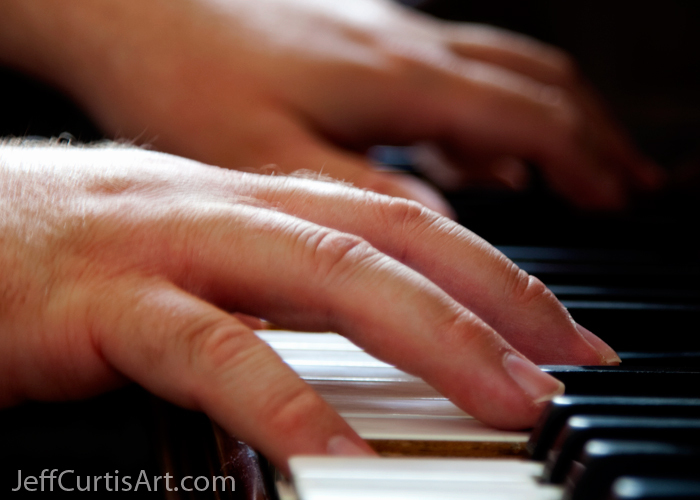 Artist Jeff Curtis, Canon EOS-5d Mark II, Photography I, Portrait Assignment: Pianer Hannies! Photography I: Self Portrait Series. take photos that represented ourselves. for 10 years, I shot my hands on a piano.